Nowadays, email has become the go-to source of communication. Some of us have learned to handle it in ways that doesn’t stun our productivity, some haven’t. 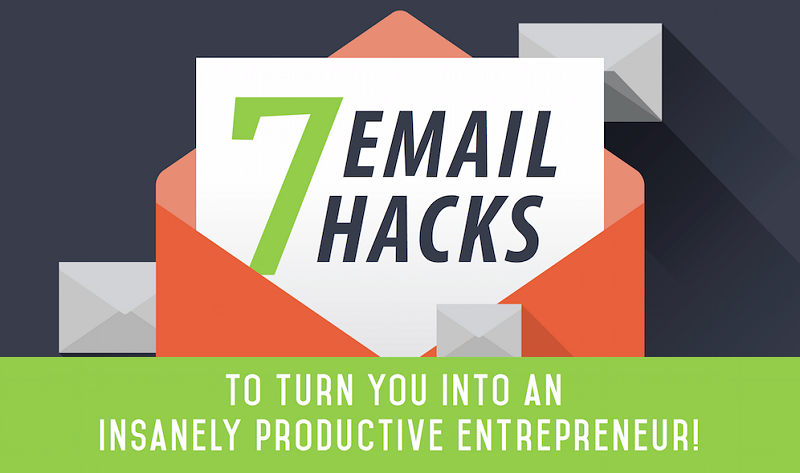 That's why Chris Ducker shares his tips and hacks (in an infographic, featured below) to help you manage the inbox madness and become an insanely productive entrepreneur in the process. Unsubscribe from email lists: Are you on a lot of email newsletter lists? Use Unroll.me to remove yourself quickly, and breathe instantly. Use the "One click" rule: Once opened, you either reply/forward, archive, or delete the email. That's it Never close and come back to it later! Stop using your inbox as your to-do list! Your email inbox is for correspondence not for managing your workflow. Use post-it's, a notepad, or a mobile app o create to-do lists, not your inbox.